Last month, we were lucky enough to catch these Scottish upstarts at one of their sold-out New York shows at the new Knitting Factory Brooklyn. Outside, snow may have been falling in large soggy clumps, but the dismal freeze could not stand up to the buzz burning inside. Taking the Williamsburg stage, these four Edinburgh natives looked relatively out of place, more resembling brawny hooligans than the hypersensitive hipsters that constituted their audience. As the band briskly moved through highlights from last year’s debut, These Four Walls, such as “Moving Clocks Run Slow” and “Roll Up Your Sleeves”, thoughts of compatriots and FatCat label-mates the Twilight Sad and Frightened Rabbit were inescapable. But the band’s penchant for angular guitars also evokes comparisons to Bloc Party, while their urgent melodies at times inch toward the terrain of U2’s earliest anthems. 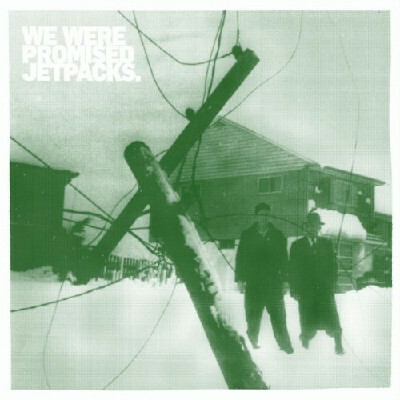 This last reference point seems even more suitable with We Were Promised Jetpacks’ new EP, The Last Place You’ll Look, which will hit stores on March 9.